Laney received her pink glittery angel wings on December 25, 2013. To honor her, our foundation has decided to organize a group of highly motivated, good hearted volunteers who will be known as “Laney’s Angels”. These individuals organize fundraising events to increase awareness of childhood cancers and raise funds to help the families who are fighting these diseases. There is no age restriction, or fundraising event to small to become one of Laney’s Angels. 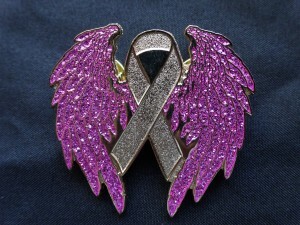 Along with knowing you have raised funds for children in need you will also be awarded “Laney’s Angel Wings” pin as a token of our gratitude and as a symbol of hope for a cure. To receive information on becoming one of Laney’s Angels and how to go about your fundraiser planning please fill out the contact form below and you will receive an email follow-up and information. For questions about an upcoming event click here to get more information. Thank you for all your support. If you want to do a fundraiser but not sure what to do, scroll to the bottom of this page and you can view all the previous fundraisers done by our Laney’s Angels. 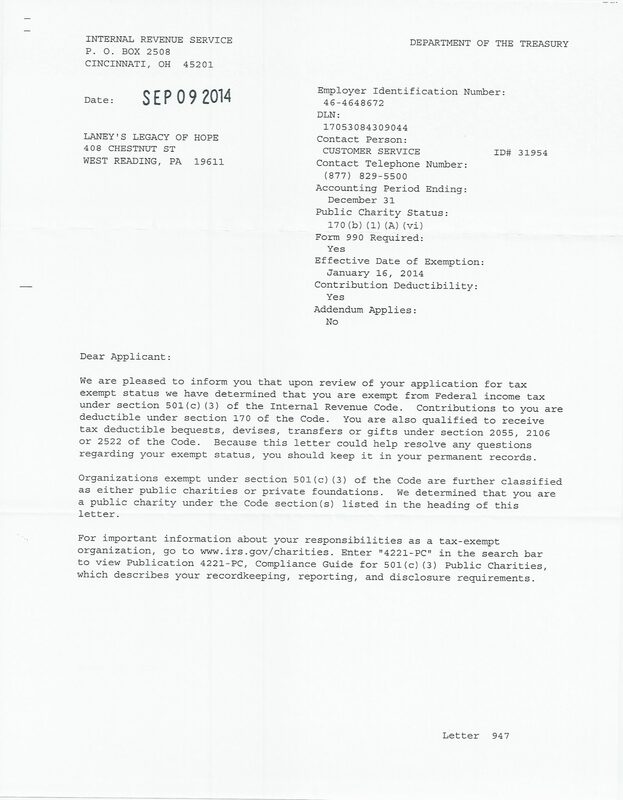 Thank you for your interest in becoming one of Laney’s Angels through Laney’s Legacy of Hope. Complete this application if you desire to hold a fundraiser in the hopes of assisting high risk pediatric cancer patients and funding research. Your time and effort will help others with their fight. Take action against childhood cancer! Event Description: Spaghetti dinner while enjoying music as you eat. Wonderful Raffle Baskets, as well as a 50/50 Raffle. Event Coordinator: Reading United A.C. Event Description: Conrad Weiser Soccer Club U19 Girls vs Reading United Fun League. Event Description: Perfectly Posh online fundraiser. Event Description: Event include face painting, nail art & hair braiding. Event Description: Grace Adele online fundraiser. Event Description: Instead of getting gifts for her birthday Ashley asked for donations to our foundation. Happy Birthday Ashley! Event Description: Children earned money through chores and donations to donate. Event Description: Toss-a-ball proceeds went to the foundation. Event Description: Old fashion carnival fun (food, games, cakewalk, large tricky tray, & raffles) at Appalachian Campgrounds. Event Description: Donated 100% of her commission and 25% of all sales. Event Description: Instead of getting gifts for her birthday Maddie asked for donations to our foundation. Happy Birthday Maddie! Event Description: Had a cookie sale and 100% of the profit went to the foundation. Event Description: During Wyomissing Mighty-Mite game the cheerleaders raised money through games and bake sales. Event Description: Musical performances featuring John Denver. Event Description: Reading Derby Girls night of fundraising, fun and females on the flat track. Event Description: They held speaking engagement with Ben Carson and collected donations at the door. Event Description: These businesses donated a percentage of their sales of the day to the foundation. Event Description: Made pink angels and sold them in their community. Event Description: Instead of getting birthday gifts they asked for donations. Event Description: Delicious cups of Hot Chocolate with pink marshmallows sold for $1. Event Description: Joe raised money for people to see him wrestle in a tournament wearing a bright pink singlet in memory of Laney. Event Description: Had a yard sale and gave 100% of their profits to the foundation! Event Description: Sophia is 9 years old and she walked around to her neighbors and collected extra change they had to donate. Way to go Sophia! !